What’s Available Now? 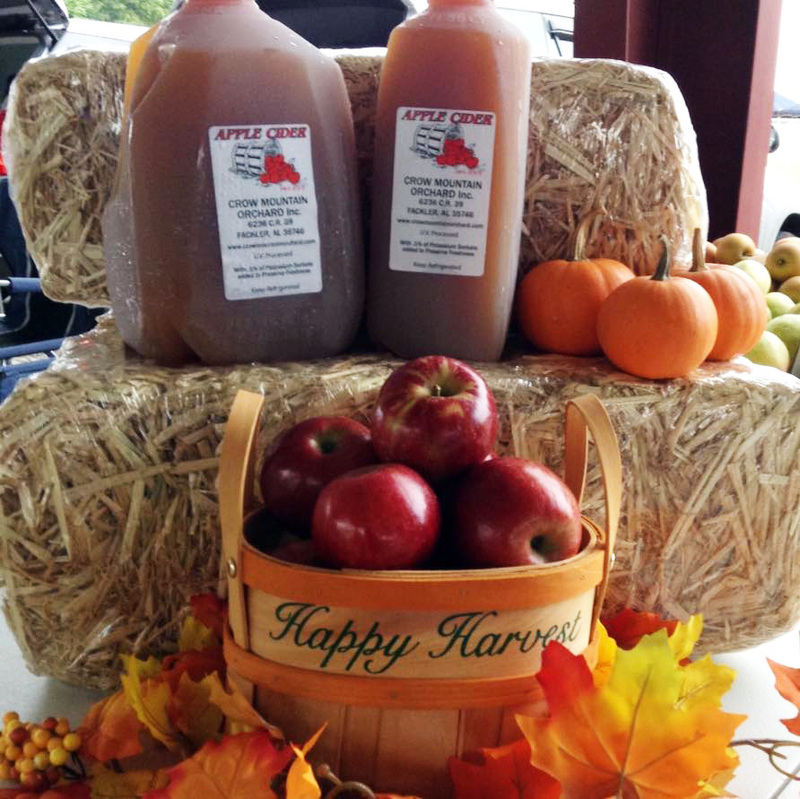 Great Fall Apples and Cider!! 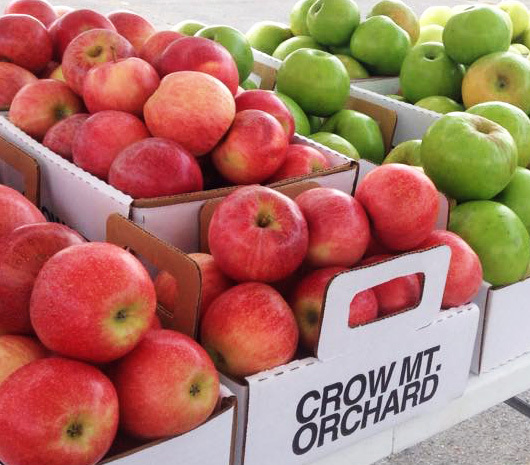 Don’t wait to come to the orchard or one of the farmers markets to get your fall apples. The varieties come and go quickly. This is what we currently have available in the orchard salesroom. Varieties available at the farmers markets may vary. 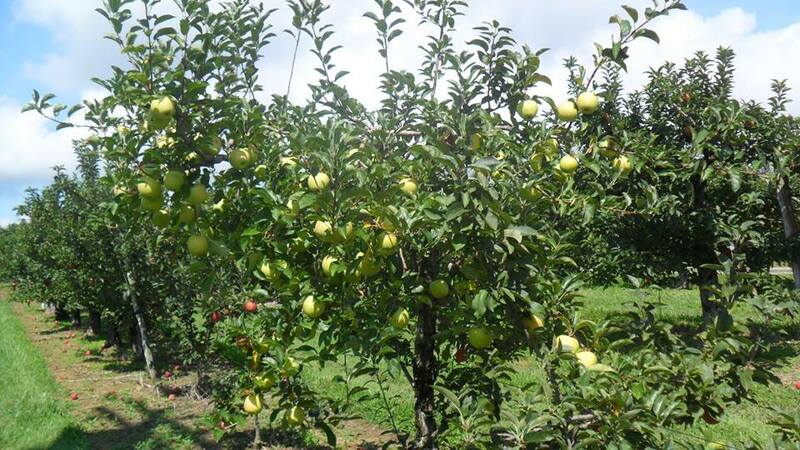 Mutsu Apples Starting to Get Ripe! 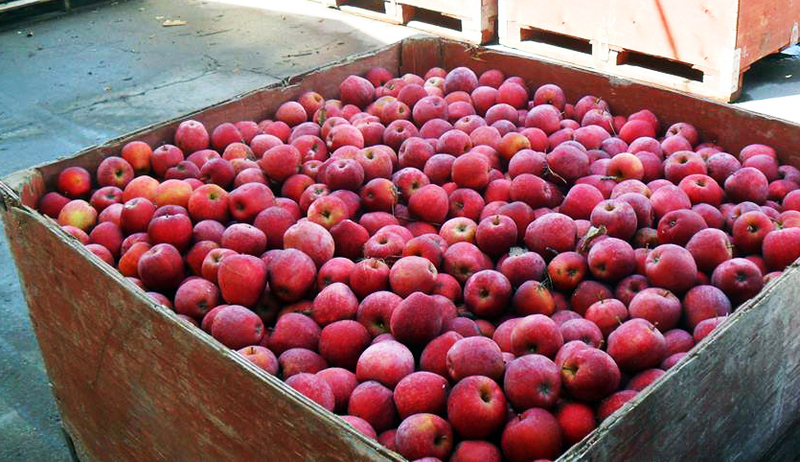 Mutsu apples have just started getting picked. We currently have a limited number in the orchard salesroom, so call before you come for them between 8:00-5:00, 256-437-9254. 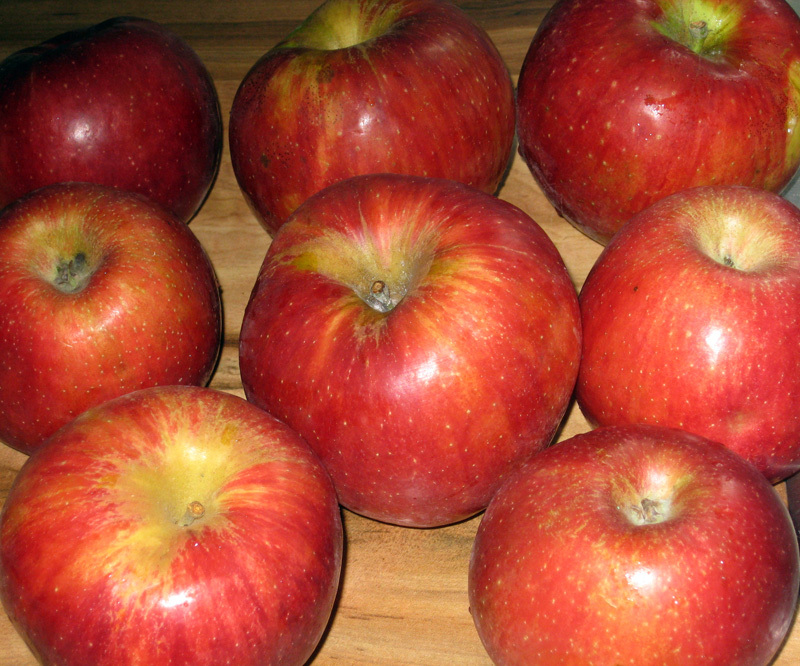 Red and Gold Delicious and Jonagold apples are customer favorites. This is the very best time to buy them. They are wonderful eating apples. Gold Delicious and Jonagold can be used for cooking. Several customers who do not cook with sugar use the Gold Delicious for cooking since they are naturally sweet. If you have not tried the Jonagold, I recommend it to anyone who loves the Honeycrisp apples. They are crisp and have a similar sweet/tart flavor. We hope to have fresh cider in one to two weeks. Please call the salesroom between 8:00 and 5:00 to check on availability of your favorite fruit before you make a long trip. 256-437-9254. Not all varieties or sizes are available at the farmers markets. 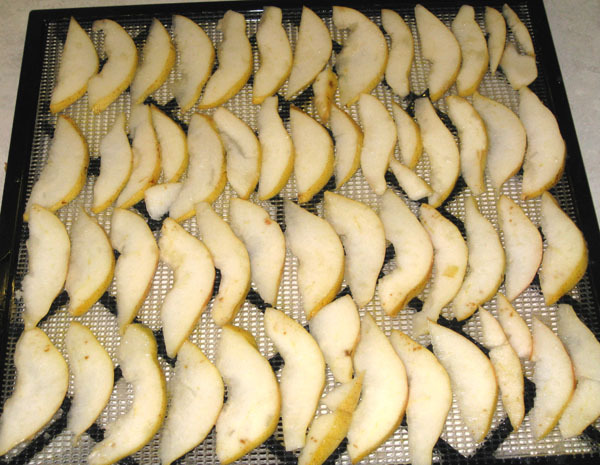 If you dehydrate fruit, make sure you try drying the Spartlett pears. Dried pears have a more intense pear taste and sweetness that makes them great for a healthy snack. My favorite use for them is to add them to oatmeal which naturally sweetens it. 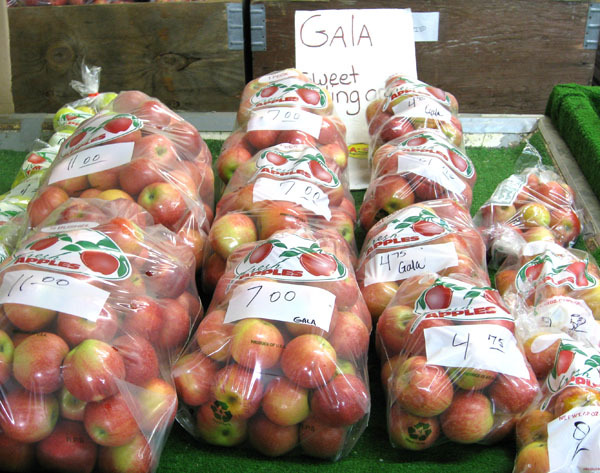 Red and Gold Delicious and Jonagold Apples Available! 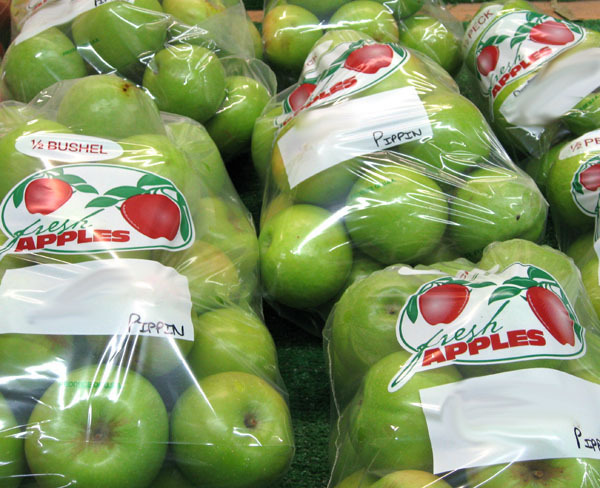 We have a very limited quantity of Honeycrisp apples. They won’t last long. Call the orchard between 8-5 before you come. 256-437-9254. We currently have apples, yellow and white peaches, nectarines, and seedless grapes available at the orchard. Please call for availability between 8am-5 pm before you come, 256-437-9254. If we are busy, we may run out of something for the day. We are also getting near to the end of the peaches for the season, so get them while you can. What we sell at the farmers markets may vary due to availability of fruit when we load the trucks, and limited space on our trucks. If some particular fruit or size isn’t available at your local farmers market, please visit the orchard salesroom for the widest selection of fruit and container sizes. Our farmers market schedule and market locations are available on our website. Jonathan–a little bit tart, good for eating and cooking. Holds its shape well when making pies and fried apples. These were my mother’s favorite for making applesauce. Yellow and white freestone peaches, limited quantities in 2 quart boxes only. 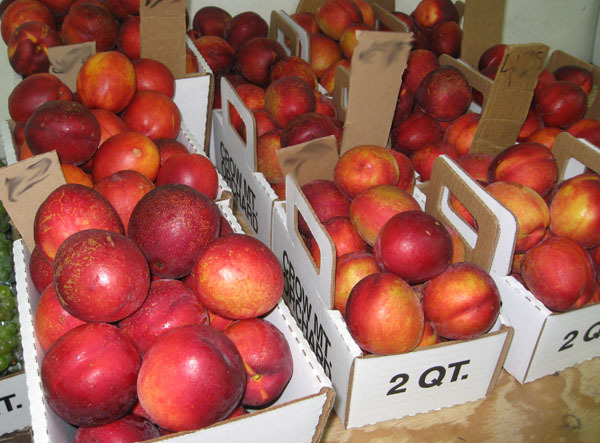 #2 quality peaches in larger boxes including 1/2 bushels for $15 and two 1/2 bushel boxes for $25. We currently have apples, yellow and white peaches, nectarines, and seedless grapes available at the orchard. Please call for availability between 8am-5 pm before you come, 256-437-9254. If we are busy, we may run out of something for the day. What we sell at the farmers markets may vary due to availability of fruit when we load the trucks, and limited space on our trucks. We do not accept special orders for the farmers markets due to limited space and too many opportunities for error. We run 3 different trucks/trailers 13 times to 7 different markets each week. If some particular fruit or size isn’t available at your local farmers market, please visit the orchard salesroom for the widest selection of fruit and container sizes. 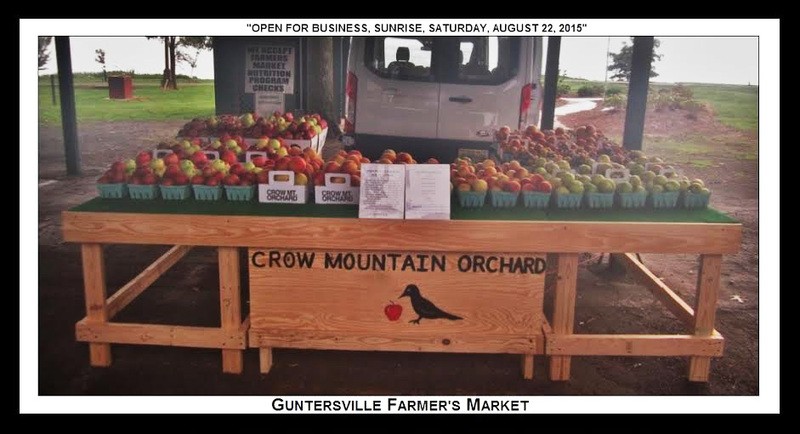 Our farmers market schedule and market locations are available on our website.